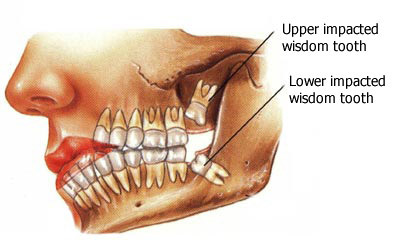 Wisdom teeth are the third molars and the last ones in the series of teeth. If they have enough space to erupt, they would come out at the age of 16 to 24 years old. They can be very useful for chewing if they are well aligned. 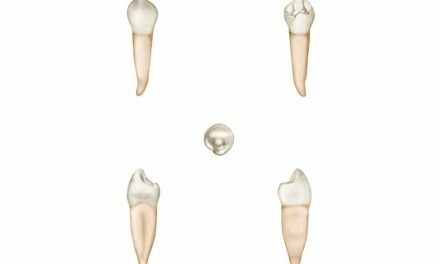 However, in most cases, they do not come out completely, staying impacted in the jaw and therefore should be extracted. 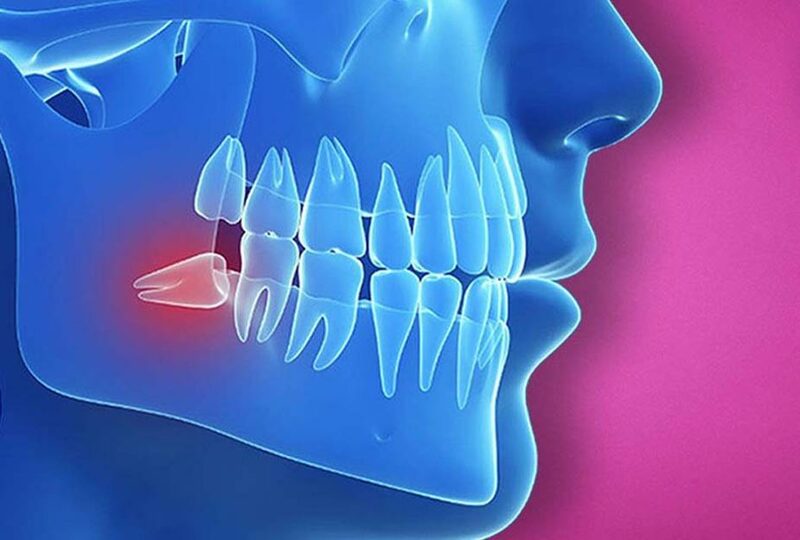 A misalignment of the wisdom teeth can squish or damage the second molars since maintaining a good oral hygiene is difficult in this area, making these teeth more vulnerable to cavities and gum disease. To reduce the risk of cysts formation that can appear around an impacted tooth. 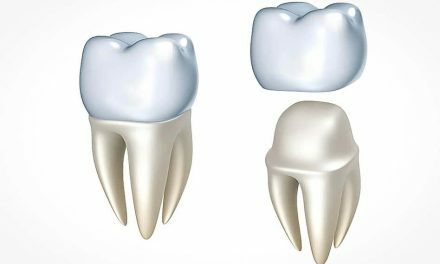 The best time to extract wisdom teeth is at the end of adolescence because roots may not be completely developed, making the treatment less complicated. 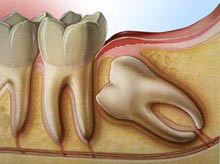 Sometimes a wisdom tooth does not come out completely, creating an extension of gum called an operculum. While eating and chewing on food, this operculum can be irritated and infected causing a pericoronitis. This condition has signs of redness, intense pain, a bad smell and difficulty of opening the mouth. Prolonged bleeding. The bleeding stops soon after the extraction, but some blood might seep out up to 48 hours after the procedure. The bleeding can be controlled by placing cotton gauze in the extraction area and by closing the mouth to create a pressure. A wet tea bag can also replace the cotton since the tannic acid that it contains helps the formation of blood clots. Spitting and rinsing should be avoided for the first 24 hours to not dislodge the blood clot and cause a dry socket. Pain. There can be pain for a few days; therefore pain killers that the dentist prescribes or recommends should be taken. Swelling. If the extraction is complicated, there could be swelling of the face and even change of color of the skin. To reduce the swelling, a bag of ice should be placed on the face for ten minutes, every half hour. Foods. Soft, lukewarm foods should be eaten during the first 24 hours. Hot drinks and alcoholic drinks should be avoided. Hygiene. Brushing the teeth should be continued but the extraction site should be avoided. Swelling. After applying the ice for the first 24 hours, heat should be applied by using a hot and wet towel. The maximum swelling is reached after four days and decreases slowly after. Water and salt. Rinsing with warm water and salt should be started 24 hours after the procedure. Rinsing is recommended after each meal and before bedtime. Stitches. 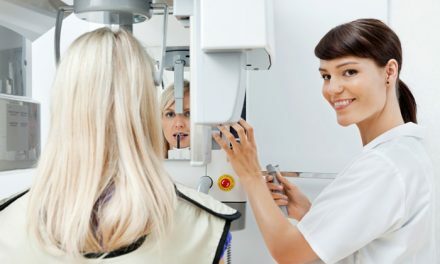 Usually an appointment with the dentist is booked a week following the extraction of the wisdom teeth to verify the recovery and to remove the stitches. However, if the stitches are absorbable, they can fall out on their own after a few days. Smoking. It is important to refrain from smoking during the 48 hours following a tooth extraction to avoid severe complications. Dry socket. 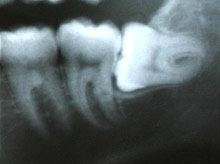 Following the extraction of a tooth, a clot forms on the bone cavity. Sometimes, this clot is dislodged or takes more time to form, creating a condition called dry socket. This situation is characterized by intense pain, a bad taste in the mouth, and sometimes difficulty opening the mouth. It is emphasized by smoking. 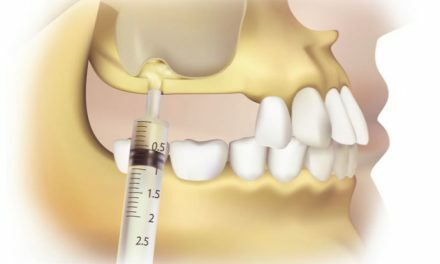 Dry socket is a temporary condition that lasts a few days and can be relieved by the placement of a dressing soaked in eugenol by a dental professional. Paresthesia. Very rarely, during the extraction of a tooth, the nerve is touched, causing a loss of sensitivity that usually affects the tongue or the bottom teeth. The loss of sensitivity is rare, and generally temporary, though exceptionally could be permanent. Friedman J W. (The Prophylactic Extraction of Third Molars: A Public Health Hazard). Am J Public Health. 2007 September; 97(9): 1554–1559.